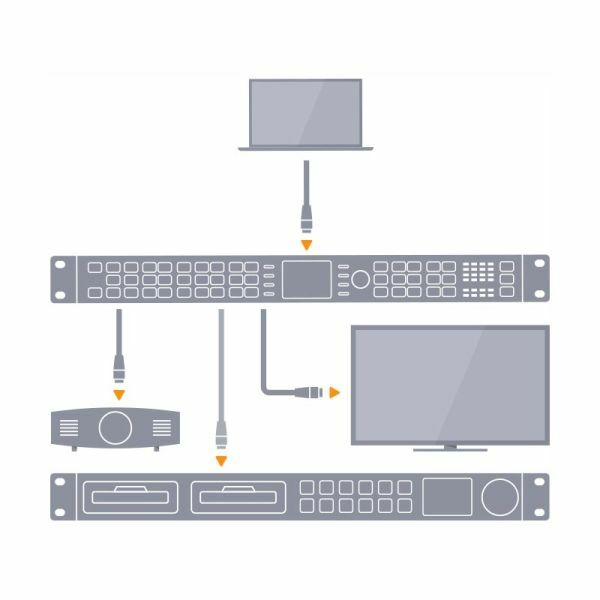 Teranex AV is specifically designed with new features for live events and professional AV installations, as well as broadcast and post production workflows. You get 1,089 up, down, cross and standards conversions for all formats up to 2160p60, along with Teranex’s patented algorithms and legendary image quality. Teranex AV offers low latency, and features a still store for adding logos and graphics, a live freeze frame and can generate a reference signal. You get professional 12G-SDI and quad SDI connections which can be used simultaneously, consumer HiFi, XLR audio, HDMI in, loop and outputs, and more. There are even metal brackets at the rear to prevent cables and connections from getting damaged when installed in tight locations. 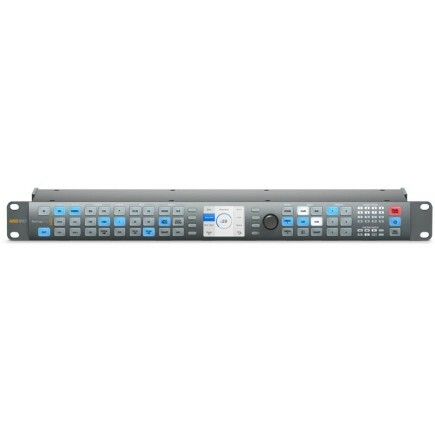 The Teranex AV features low latency that’s as low as 67 milliseconds, which means that you can convert any HDMI or SDI video format instantaneously to a different format and output it for projection in sync with the live event. For example, customers using Teranex AV at a concert can project a close up of a virtuoso pianist as their fingers fly across the keys on a big screen projector in synchronization with the live performance. For audio, Teranex AV also features 2 channel consumer HiFi connections, as well as XLR connections for 4 channels of AES/EBU or 2 channels of balanced analogue audio. The consumer HiFi connections are critical for professional AV customers because they allow lapel microphones, laptop computers and other devices with consumer audio connections to be used with Teranex AV. Now customers can connect virtually any audio source to Teranex AV and use it to embed the audio with the video and output the signal in any format. Teranex AV also features a still store that can capture a video frame in any format and hold it in memory, even when the power is cycled. Customers can preload corporate logos or graphics to display between presenters at conferences, or for outputting sponsor logos at concerts and events between acts. Plus, Teranex AV has built in resynchronization, so customers always get clean switches between the still store and live feeds for professional looking presentations. There’s even a live freeze frame feature that temporarily holds any current frame on the screen until Teranex AV is switched to another video output, a black frame, or the still store. This is ideal for conferences and events where you may need to hold a slide on screen while the presenter makes changes to their presentation in the background. The freeze frame and still store make it possible to always have something on screen at all times. 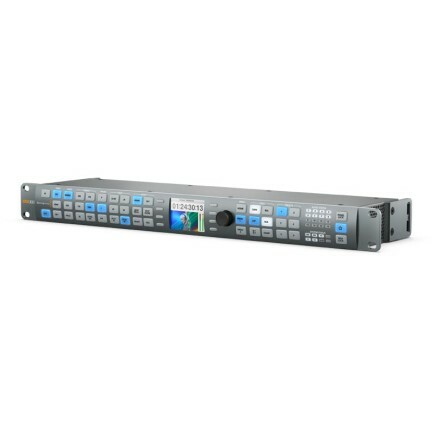 In addition to HDMI and 12G-SDI connections, Teranex AV also includes quad link 3G-SDI outputs, making it compatible with a wide range of older Ultra HD monitors and projectors that only support quad link SDI 1080 HD inputs. This also makes Teranex AV a great video wall processor because it can split Ultra HD into 4 HD screens, or it can scale regular HD up, split it and output it onto 4 large screens for a tiled video wall. That means customers can create massive multi-screen outdoor displays and digital signs that will amaze the crowd at live events. Customers also get BNC input and output connections for generating or receiving reference signals. The built in ethernet connection allows for remote control, and an optical fiber cage is available for adding optional SMPTE fiber optic modules so customers can send video and audio over massive distances. Teranex AV even has rear brackets to protect cables and connectors from damage during portable, outside broadcast, or field work. With Teranex AV, customers get 1089 up, down, cross and standards conversions for all formats up to 2160p60 in full 10-bit quality. Like all Teranex processors, Teranex AV features patented algorithms and powerful processing that give customers visually transparent conversions that are indistinguishable from the original. 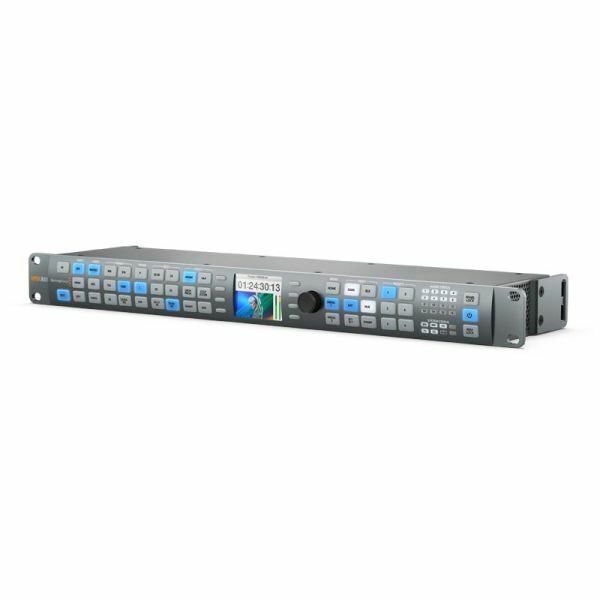 Conversions use optical quality scaling, have advanced de-interlacing, noise reduction, automatic 3:2 cadence detection, removal and insertion, and retain timecode, ancillary data, audio and more.